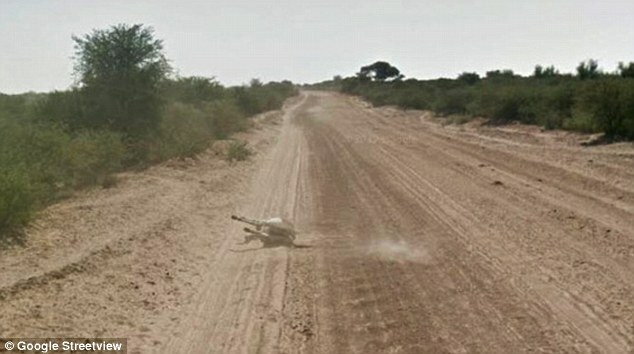 Alive: A picture has emerged on Twitter which was taken by a Google Street View car showing a donkey - which looks dead - lying beside a road in Botswana. This image shows the donkey initially standing. 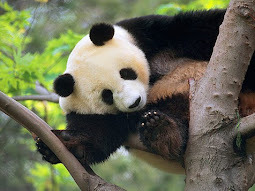 They are known for traveling the world and documenting our surroundings in extreme detail. But, as these pictures show, it seems as though Google may have photographed itself being involved in a rather unfortunate accident. 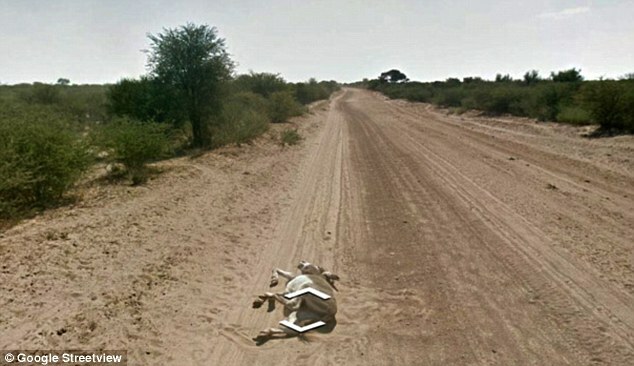 A picture has emerged on Twitter which was taken by a Google Street View car showing a donkey - which looks dead - lying beside a road in Botswana. And the pictures seem to suggest that the donkey was knocked over by the very same Google Street view camera car which photographed the injured beast. A puff of dust pictured billowing from the donkey indicates the animal may have just fallen as the image was taken. 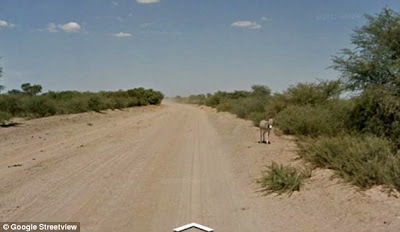 When Google users scroll past the injured donkey they can see it standing uninjured by the road side. This has led to accusations that Google ran over the donkey and the picture of it lying injured by the roadside was taken by the rear-facing camera. 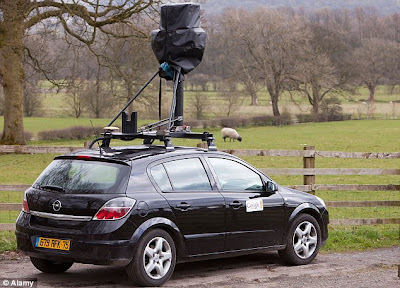 Google has claimed its car approached the donkey, which was already lying down. The internet giant claims it then gets up again and continues walking uninjured. However, according to images seen by Couriermail.com.au, this version of events suggests that the donkey is walking backwards. A Google Street View spokesman denied that the donkey was injured by one of its cars. However, people who saw the picture on Twitter had a different view.